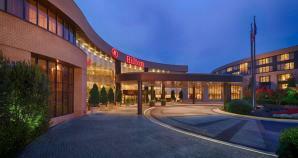 The Hilton Dulles offers the perfect location for Family Reunions! Only one mile from the National Air and Space Museum Steven F. Udvar-Hazy Center and less than three miles from Washington Dulles International Airport, the hotel is within minutes of the Dulles Access Road, I-66, and Route 50 allowing for convenient access to Washington, DC, premier area attractions, shopping, dining and more. Please contact hotel for special rates and assistance: 703-478-2900.